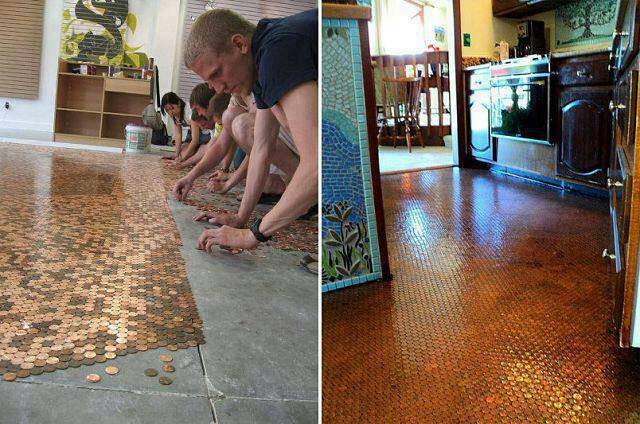 You should literally be able to count how much it will cost to put in this new kitchen flooring. However, to save you some time the cost is $2.65 per square foot if placed in straight rows. What do you think of the idea? Very cool or wrong to deface this money? Click here to view the penny floor website.